Drive to Grabouw on the national route , the N2, from Cape Town to Mossel Bay on the Garden Route, approximately 8km after going over Sir Lowry's Pass. 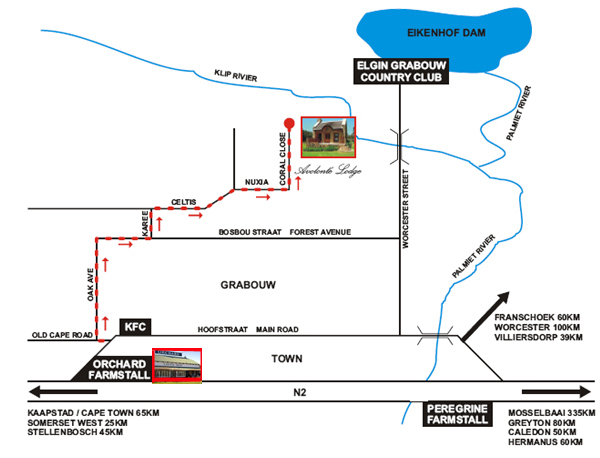 Take the left turnoff at The Orchard farm stall (R321). Turn left at the 5th road, Ou Kaapse Berg (Old Cape Road). 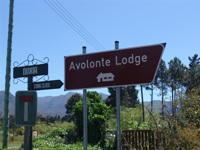 Then take the 1st right and follow the Avolonte Signs.